Warm weather is HERE! It’s the perfect time to experiment with prints and patterns……we’re sharing four SUMMER PRINTS that are perfect for sunny days and warm summer nights! Sunshine, beach days, sunscreen…..summer is a time to play, eat, and celebrate. It’s also the perfect time to experiment with your wardrobe. Those warm layers are packed away. Dark colors can wait until Fall. Summer is the perfect time to wear bright colors and fun prints. A few printed pieces along with simple basics? Will get you through summer in style! Playful Prints: Summer is a time of fun, joy and play. 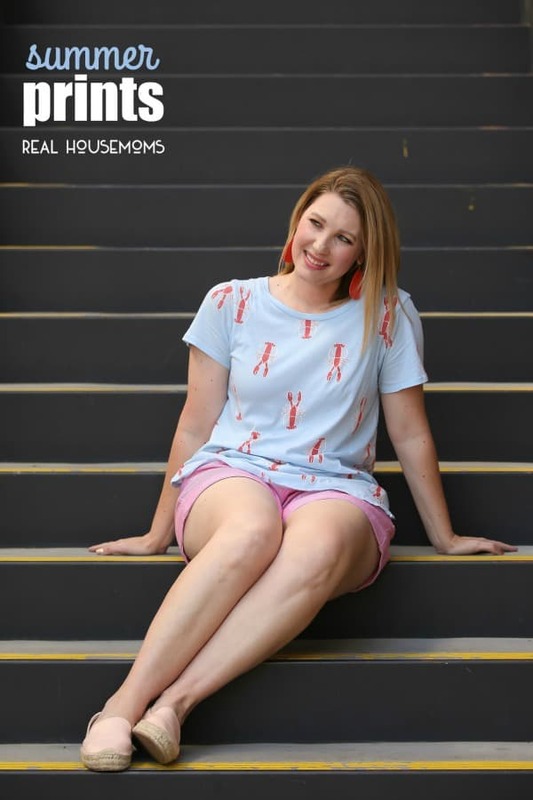 Try a playful print…..lobsters, watermelon slices, beach balls….anything colorful and summer themed will add a little fun to your wardrobe! Feeling brave? Mix a playful print with stripes……just be sure they are all in the same color family! Stripes: Stripes are a classic print that every woman should own. Try horizontal stripes, or a bold nautical stripe for a fun summer look! The great thing about stripes? You can wear most striped pieces year round. 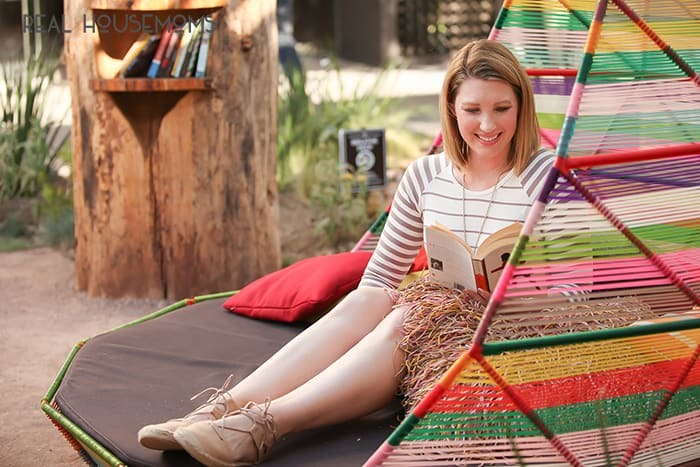 Wear a simple striped tee in the summer with shorts and then layer it under a vest in the winter! Ikat: Ikat is a classic print, but it’s all the rage right now. Try an ikat sundress, or even ikat shorts to add some dimension to your basic pieces. 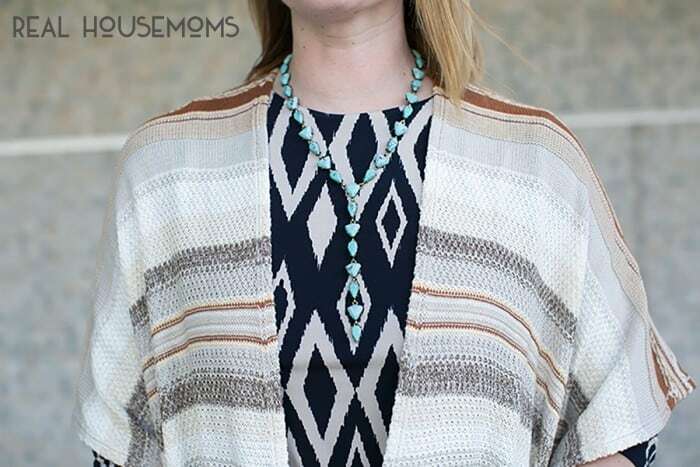 Ikat is great for pattern mixing, or can be worn with a simple white tee for a more classic look. Palm Print: Summer is all about the outdoors, and nothing screams summer foliage like a palm leaf. Palm leaf pieces were a huge trend last summer, and they’re back. 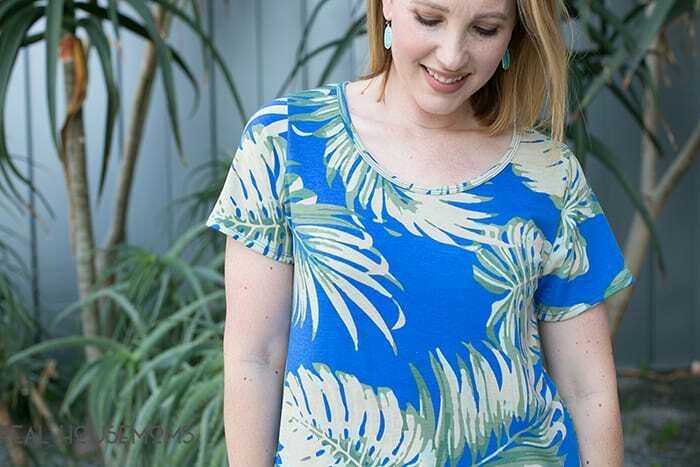 A simple palm leaf tee, a skirt, or even a palm leaf bathing suit? They’re perfect for warm weather. What are YOUR favorite prints to wear in warm weather?